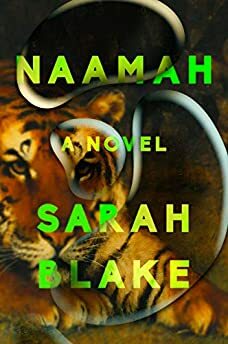 Largehearted Boy: Sarah Blake's Playlist for Her Novel "Naamah"
Sarah Blake's novel Naamah, an imaginative retelling of the Noah's ark story from the perspective of his wife, is a striking debut. "An urgent feminist response to the Old Testament. . . . Blasphemous, carnal and committed to exaltation, Naamah delivers its truths in a torrent of heresies [and] dares us to center the experience and wisdom of women." Mostly I don't listen to music when I'm writing. The only time I break this rule is when I'm stuck. It's not writer's block. I know what has to happen next. What I want to happen. What effects I want it to have. But I get worried that I can't get the words down that accomplish that thing. The thing grows big and precious in my head, and I need to knock it down a peg. In that situation, I put on Les Mis. I've been listening to Les Mis since I was a baby. I know Les Mis better than any other music on this planet. If I put Les Mis on, it distracts that part of my brain that's idealizing that next thing, and that part of my brain gets busy singing along, and I, well, I begin typing. This is the one Les Mis song I'll put on the playlist—as a nod to my deep, deep love for this entire musical. I think this song in particular exemplifies how drawn my heart is to DRAMA. I would be completely remiss if I didn’t include this song, my favorite Biblical retelling ever. My characterization of Noah was inspired by Cohen’s characterization of Abraham, that slice of dialogue, “I've had a vision, and you know I'm strong and holy. I must do what I've been told.” And later in the song, I always imagined it was Abraham saying, “Thought I saw an eagle, But it might have been a vulture, I never could decide.” I think this bit stayed at the back of my mind, lingering, and influenced my decision to make the Metatron an Egyptian vulture. These two songs were on the radio all the time in the fall of 2016 when I began writing Naamah. In “Ophelia,” they repeat the line, “you've been on my mind girl since the flood.” In “Fire and the Flood,” they repeat, “You’re the fire and the flood.” I remember thinking, Ok, I’m not the only one obsessed with the flood right now. It felt like it was in the air. I remember imagining that everyone was rewriting the story of The Great Flood. Naamah spends a lot of time staring out over the floodwaters, remembering those who died, wondering if the waters will ever recede. Picturing her there on the deck makes me think of “The Dock of the Bay.” It’s also my mentor’s favorite song so it has a special place in my heart. My favorite Otis Redding song is “I’ve Been Loving You Too Long,” which was my wedding song, and actually might also be a good match to a lot of Naamah’s feels. In the first chapter of Naamah, she takes up swimming in the floodwaters. If I think of a song that’s about swimming, I, of course, think of P-Funk’s “Aqua Boogie.” There’s a rooster sound that I often make at my husband for no particular reason. To which he sometimes responds, “Underwater boogie baby.” And then we continue about our day. I think it’s a song everyone needs to hear. This is another song that was very popular in 2016 when I was in the thick of it with Naamah. That first line, “Father tell me, we get what we deserve,” spoke right to the crux of what Naamah was dealing with. What she deserved. What her children deserved. What everyone who died deserved. I know the song is not about the flood, but it spoke to the questions I was writing into. I’d write in silence, and then I’d jump in the car and hear this song on the radio. If I could have tweeted it, it would’ve been captioned, MOOD.